I am blessed to enjoy life surrounded by friends and family that sincerely want to follow Christ and sincerely want to understand God’s will in their life. There are others in my life that seek to understand the deep “mysteries” of a relationship with Jesus. As a Bible “Pirate” (a seeker of the treasures found in and behind the wonderful words of Scripture that were, I believe “breathed” by God), I am always amazed at the testimonies (experiences involving God’s presence in their lives) of those around me and how they so very often coincide with my own testimony and experience. Interestingly enough, while it is true that we must follow in faith, the Bible clearly tells us to “check for ourselves”, in other words, to seek out the answers we have to our questions concerning our relationship with God, indeed, with Jesus. In this day in age, as in any day and age, as we accept the diversity of our lives in this world and many “religious” points of view, we need the reassurance that comes from the study of the life of Jesus. 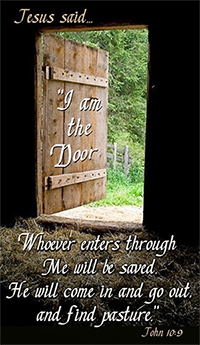 So as we embark on this journey with Luke as he write to Theophilus , indeed to us– those who love God, we can rest assured that as we ASK difficult questions, and SEEK out their answers in Scripture and indeed, as we KNOCK on that door seeking understanding, reassurance and relationship with our creator, that He will answer that door and it will be OPENED. 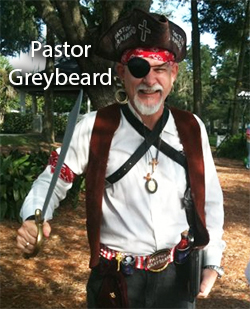 May you be a Bible Pirate and may you seek and apply the truth’s of Jesus in your life!